The British steamship Nisbet Grammer, the largest steel steamer to have foundered in Lake Ontario has been discovered by a team of shipwreck explorers. Dan Scoville, Jim Kennard, Craig Hampton, and Roland Stevens located the steamer thirty miles east of the Niagara River in a depth of over 500 feet of water. The Nisbet Grammer was enroute from Port Colburne to Montreal with a load of grain when she was struck by the steamship Dalwarnic in a dense fog. The Nisbet Grammer took on a load of grain at Buffalo then passed through the Welland Canal into Lake Ontario and was headed up to the St. Lawrence River in the early morning hours of May 31, 1926. The lake was calm with a slight wind from the northeast. Around 4:30 AM a dense fog formed on the lake limiting visibility to several hundred feet. The Grammer could only hear the warning sounds of a ship’s fog horn as it passed in the night. The steamer continued on but reduced its speed in half to 4.5 knots for the next hour. As time passed, the fog grew even denser and then at 5:30 AM the sound of a new fog horn was heard almost directly in the path of the Nesbit Grammer. Within just a few minutes the Canadian steamship Dalwarnic came into view. The Grammer turned to starboard to avoid the oncoming steamer but there was not enough time for the 253 foot long steamship to avoid the fatal collision. The Dalwarnic struck the Grammer on the port side near the stern just forward of the boiler house and engine compartment. A lifeboat from the Nisbet Grammer was deployed as was a yawl from the Dalwarnic in which the crew was able to safely escape from the sinking steamship. Within less than 15 minutes the Nisbet Grammer hull filled with water and sank stern first into the depths of Lake Ontario. In the early 1920’s large steamships full of grain from the upper lakes had to be unloaded at either Port Colbourne or Buffalo onto smaller vessels to pass through the Welland Canal in order to reach eastern coastal ports. In December 1922 the Eastern Steamship Company Ltd of St Catharines, Ontario was formed by seven individuals connected with the grain business. They commissioned the build of ten canallers which would be able to transport grain and also pass through the canal from Lake Erie to Ontario and forego the previous unloading process. G.J. Grammer and his son, Nisbet Grammer, were two of the founders of the new steamship company. Nisbet was also the president of the Eastern Grain, Mill, and Elevator Corporation of Buffalo. He was then elected president of the Eastern Steamship Company. The Nisbet Grammer was built in the shipyard of Cammell Laird and Company of Birkenhead, England and on April 12, 1923 the canaller was launched into the Mersey River. Just as the new steamship slid down the ways into the Mersey River, the sun came out from under the clouds, which one would have thought a seemingly favorable sign of things to come for the Nisbet Grammer, but her fate would take a different turn. The engines were coal-fired fed from wing bunkers. Two large single-ended Scotch boilers (Diameter: 12 ft. x length: 11 ft.) provided a steam pressure of 180 pound per square inch to run the engines. 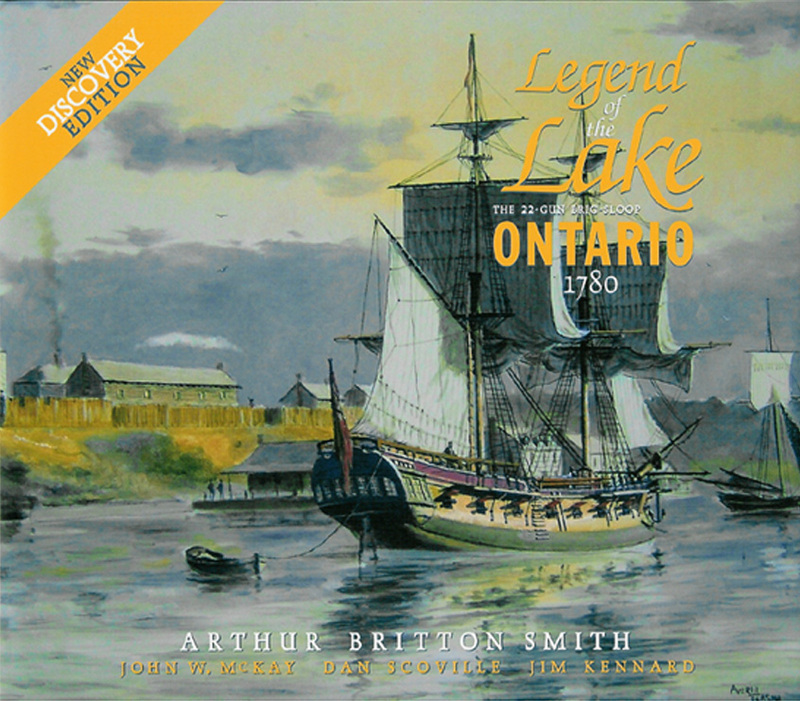 In September 2008 Kennard and Scoville began the initial search for the largest steel steamer ever lost in Lake Ontario. At the time, what was thought to be an easy shipwreck to find turned out to be more of a challenge than they expected. The search for this steamship did lead to several new discoveries in this area of the lake and more questions than answers into the fate and final resting place of the Nisbet Grammer. During the next 6 years over 80 square miles of deep lake bottom were surveyed until the discovery by the shipwreck search team in late August. Searching for and then surveying a shipwreck in deep depths requires a combination of teamwork and specialized equipment. 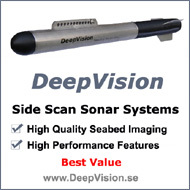 The search for the Nisbet Grammer was conducted utilizing an Imagenex Yellow Fin side scan sonar system towed by a 2000 foot steel cable controlled by a specially constructed winch designed by Dan Scoville. The shipwreck search followed predetermined grid lines in a method similar to mowing a lawn. Use of an autopilot on Craig Hampton’s boat provided accurate coverage of the targeted search area. The selected grid was determined by researching the Nisbet Grammer – Dalwarnic Court of Inquiry documents by Jim Kennard. Once the Nisbet Grammer was located the underwater remote operated vehicle (ROV) was deployed to video the shipwreck. 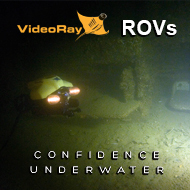 The ROV designed by Scoville uses a special thin fiber optic tether to communicate with the topside electronics and video display. Using a thin tether has the distinct advantage of minimizing the drag caused by lake currents when deploying very long lengths of cable to reach the deep depths of Lake Ontario. Over 900 feet of fiber optic tether were used to reach this shipwreck. There were very strong lake currents on the day the team surveyed the steamship with the remote operated vehicle. It was literally a tug of war as Scoville fought the effect of the lake currents on the long tether to eventually inch the ROV to the hull of the Nisbet Grammer. Arriving at the base of the port bow of the large steamer’s hull it appeared as a great wall just waiting to be conquered. The ROV ascended over 40 feet to the bow rail of the Grammer. Peering through the railing was the view of the staircase leading up to the pilot house. This glimpse of the big steamer was all that would be seen as one of the ROV thrusters failed preventing any forward movement. Sadly the mission to explore the remaining details of Nisbet Grammer would have to wait for another day. A formal investigation was held in Toronto on June 15-17, 1926 into the circumstances resulting in the collision of the steamers Dalwarnic and Nisbet Grammer. The 258 page court transcript provided a detailed account of both vessels leading up to the collision and sinking of the Nisbet Grammer. It was in this document that the speeds, mileage, and times were stated by both ships’ captains. This information was used to narrow down the probable search area for the wreck of the Nisbet Grammer. Mistakes were made by both sides due to the poor visibility created by the dense fog. As a result of the inquiry, the certificate of the Nisbet Grammer captain was suspended for failing to give specific instructions to his officer. The first mate was suspended for three months for not having stopped the ship, sounded the alarm signals or awakened and alerted the captain. The certificate of the captain of the Dalwarnic was suspended for the rest of the 1926 season for failing to exercise the caution which is expected of all seamen. The Dalwarnic’s first mate was exonerated. Dan Scoville is an experienced cave and technical diver. In 2005, Dan led the development of an underwater remote operated vehicle (ROV) with a team of college seniors from the Rochester Institute of Technology. He is currently a project manager and electrical engineer for Oceaneering International in Houston, Texas. Jim Kennard has been diving and exploring the lakes in the northeast since 1970. He has found over 200 shipwrecks in the Great Lakes, Lake Champlain, NY Finger Lakes and in the Mississippi and Ohio Rivers over the past 40 years. In May 2008, he and Dan Scoville discovered the 234 year old British warship HMS Ontario, the oldest shipwreck ever found in the Great Lakes. Kennard is a Fellow member of The Explorers Club. Craig Hampton is a retired master Mercury mechanic with over forty years of experience in the marine industry. He has traveled extensively through all of the Great Lakes and the inter-coastal waterways. He is an accomplished SCUBA diver. Hampton lives in Lorain, Ohio. Roland ‘Chip’ Stevens is a retired architect and working artist whose watercolors, many of which have been accepted into national exhibitions, are well known in the Rochester area. A sailor for over 60 years, Stevens has a love of the sea as reflected in his seascapes. A number of his paintings of shipwrecks discovered by the team have appeared in news stories and publications. Stevens created the watercolor painting envisioning the moments just prior to the collision of Nesbit Grammer and Dalwarnic in the early morning hours of May 31st 1926. As having grown up in Youngstown NY and sailed across Lake Ontario to Toronto many times. The location of this wreck is fascinating as I have been wondering where it was. The article says Niagara, NY, however, I am not sure if you are referring to Niagara On the Lake; the Niagara River or the Town of Niagara (which doesn't touch the Lake) or finally Niagara County. 30 miles east of the Niagara River. Thanks for asking. I will make the change in the text. This is my grandfather's ship. It's great that you found it. Thanks for the history on it.